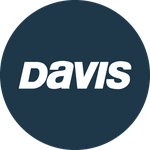 Davis Instruments Support, FAQs and Troubleshooting - Is the WeatherLink PC Software for Windows and Mac going to be updated as well? All Categories ​>​ FAQ ​>​ WeatherLink.com ​>​ Is the WeatherLink PC Software for Windows and Mac going to be updated as well? Is the WeatherLink PC Software for Windows and Mac going to be updated as well? No. We will continue to support the current versions but we will no longer make any upgrades or updates. Looking for WeatherLink software for PC and Mac? What is the difference between WeatherLink.com 2.0 and WeatherLink Mobile App 2.0?